But is this the final, Final Edition? Here we go again - Subaru of Spain has released its own limited edition version of the WRX called the Final Edition. Only eight examples will be built - six in WR Blue Pearl and two in Crystal Black Silica - each with 19-inch gold wheels, red trim, chrome exhaust tips, STI floormats, Alcantara steering wheel, and a red start button. Each car also includes a numbered plaque and matching numbered keychain. Subaru will sell the Final Edition for €57,500, which is significantly more than the €49,900 price of the Comfort Edition, though we suppose that's the price to pay for rarity. In terms of the performance, the 2.5-liter turbocharged boxer engine has been untouched, so this car isn't nearly as good as the STI S209 we will get in America. So what the heck is the point of the Final Edition? As the name suggests, it sounds like Subaru of Spain may know something we've only speculated on - the current generation STI is almost ready to be replaced. Why else call a car the Final Edition, right? We wanted to know if the name Final Edition signaled an end for the current STI, so we reached out to Subaru for comment. Ron Kiino, Manager of Product Communications for Subaru of America told CarBuzz "We don’t have any say or input into the Spanish market’s vehicles or their naming, so we can’t comment on the significance of the STI in question." This wasn't exactly the answer on a new STI we were hoping for but it does temper our expectations a bit. A new STI could be arriving soon but Subaru is in no rush to reveal it. For now, Subaru seems content to release special edition after special edition. 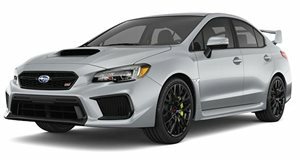 So before you get all excited that a new STI is imminent, let's slow down and dissect what Subaru has been doing lately. This STI Final Edition is just the latest in a long line of "send-off" special editions including the S209 for the US, Diamond Edition for South Africa, and the TC 380 for Japan. We haven't even mentioned all of the special edition JDM STI models that use a newer 2.0-liter boxer engine, rather than the 2.5-liter mill we get in the US. Subaru enthusiasts will continue to clamor for a new STI but it looks like the company is content to take its sweet time.